The Atlassian Crowd team is pleased to bring you Crowd 2.7 with a breadth of exciting new features and improvements! Common administrative tasks can now be carried out more efficiently, particularly in large enterprise deployments. This will enable Crowd administrators to save time so they can get more done. Moreover, if a user is renamed in your LDAP directory, Crowd will pick that up in the next synchronization of a Connector directory, or when the user authenticates against a cached Connector or Delegated Authentication Directory. All user attributes and memberships are carried over when the user is renamed. You backup Crowd regularly, don't you? We have now made this easier than ever by providing you with the ability to schedule daily backups, at a time that's convenient for your team. Crowd will back up its directories and configuration, and automatically rotate old backup files. If you are upgrading from a previous version of Crowd, you will need to enable scheduled backups in the Administration section. Users' primary group memberships in Active Directory are now visible to Crowd. This means that you can now grant users access to applications in Crowd based on their primary group. Users who are now disabled in Active Directory will be automatically disabled in Crowd when Crowd next synchronizes. This is a configurable option. This synchronization goes both ways, so if you disable or enable a user from within Crowd, this will propagate back to Active Directory. 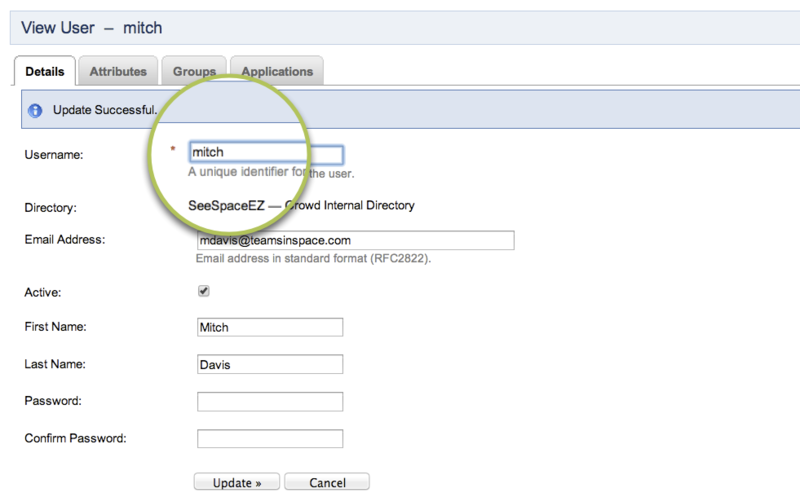 You'll be able to manage the user status in all applications with one click and in a single place. Newly configured directories will have disabled users support enabled by default. If you are upgrading from a previous version of Crowd and would like to would like to enable this feature, you will need to un-tick the "Manage user status locally" option in the directory configuration. If you do not have read/write access to your Active Directory server, you can disable this support by selecting the option to manage user status locally. This simply reverts to the former behavior where the status is not synchronized and you continue to manage it locally in Crowd. You can now get Crowd up and running faster than before. We've streamlined the setup wizard so that only the minimum requirements must be configured. If you are evaluating the product, you can choose to accept the defaults supplied and make further configurations at a later stage.